Click on image to enlarge. Students of Somos Mas. Photo by BarbaraJean Ramos. Palo Alto College is a microcosm of a representative democracy that depends on students to step up their action on a community and national level. PAC Government Professor Gabriel Ume is accustomed to a range of attitudes in his classroom from those who are apathetic to those who are interested in the key issues. Though the eagerness for involvement is there, students don’t understand the political system, says Ume. “Most students don’t know the difference between Democrat, Republican or Moderate. They still don’t understand the protocol,” he said. Ume encourages students who are too laid back to become active when it comes to social issues. “I make it compulsory that everyone who takes my class register to vote,” said Ume. PAC Government Professor Sandra Gieseler agrees that students are politically uninformed. Among the students raising their voices on a local level is PAC Sophomore Computer Science Major Simon Sanchez. He is a member of The Student Leadership Coalition and secretary of Somos MÁS, the PAC chapter of the Mexican-American Student Association. His interest in community action began with his desire to change the learning environment on campus. “We just want students to succeed,” he said. When talks began on mandatory e-books for Alamo Colleges students, Sanchez responded by voicing his opposition. “It’s without our consent, and students don’t have an option,” he said. The after-effect of students speaking out was a reversal on the e-book policy. Students like Sanchez don’t make up the overall student body at PAC, according to Professor Gieseler. “There’s still not enough organization. I started in 1992 where you could see “Su Voto es Su Voz” (Your Vote is Your Voice) stickers everywhere,” Gieseler said. PAC Sophmore Music Major David Gonzales, said his lack of interest is due to a limited amount of information on campus. “I’m not really involved in politics outside of school. There’s not accessible information,” Gonzales said. For a new sense of activism at PAC, heading to the voting booth for the 2016 Presidential Election would be “the next big thing,” said Professor Gieseler. Professor Ume urges his students to take the initiative a step further and begin a pathway toward working as a prospective politician. “I try to get my students to run precinct chairs. If you are a student and go to a precinct meeting, they will definitely vote you in. At the precinct meetings, you see how the system works,” said Ume. Information on state and national politics can be found clicking “Who Represents Me?” Here, students can find the contact information for their U.S. Senator, U.S. Representative, State Senator, State Representative and Board of Education member by entering their address and zip code. Texas voter’s registration can also be done via Texas Voters Registration. In addition, students can confirm their voter registration status. The 2016 presidential election will be on Tuesday, Nov. 8. 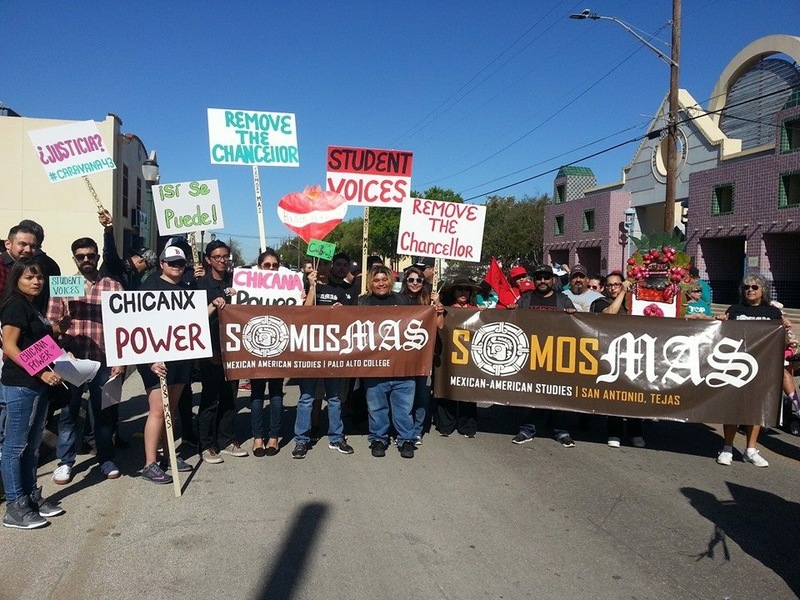 Local student organizations that promote student interests at PAC include The Student Leadership Coalition and SOMOS MÁS. For students interested in serving in either organization, contact SOMOS MÁS President Kimberly Garcia for more information.